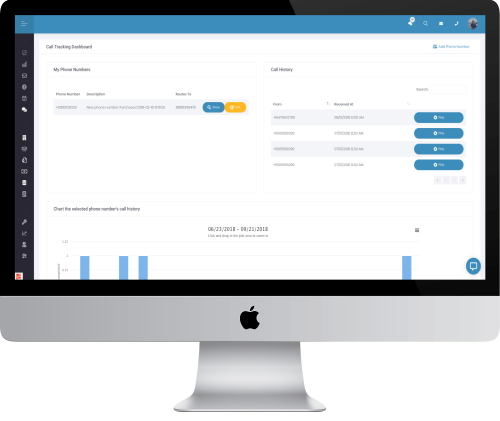 We combine all the tools you need to run a highly profitable shop into one simple cost-effective platform. We determine what your goals are, we show you exactly how we will get you there, and then our team of experts does 100% of the work for you so you can get back to focusing on what matters. With our full two-way texting, MyShopManager helps you do more than "just marketing". You can build relationships with your customers that will last for years. Texting thread getting a little long? No worries! Send to your heart’s content with no extra charges or fees. 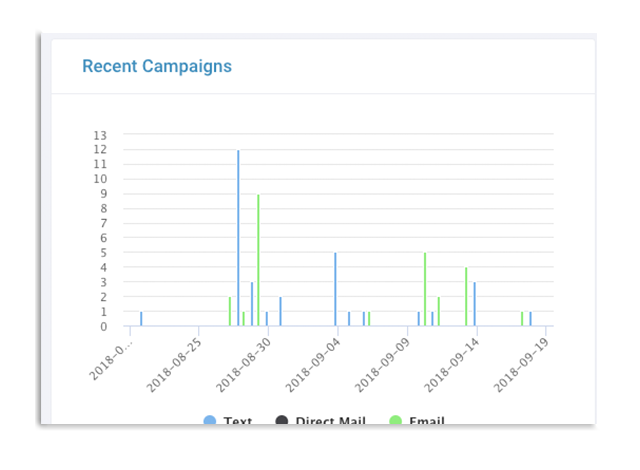 Text campaigns get as high as a 70% response rate! Communicate with your customers the way they want to communicate. Create, save and track as many phone numbers as you need to properly monitor all your marketing. Use these numbers to track marketing through any channel. Advertising in the local paper? Use a unique number. Running a promotion on the radio? No problem, use one of our numbers. 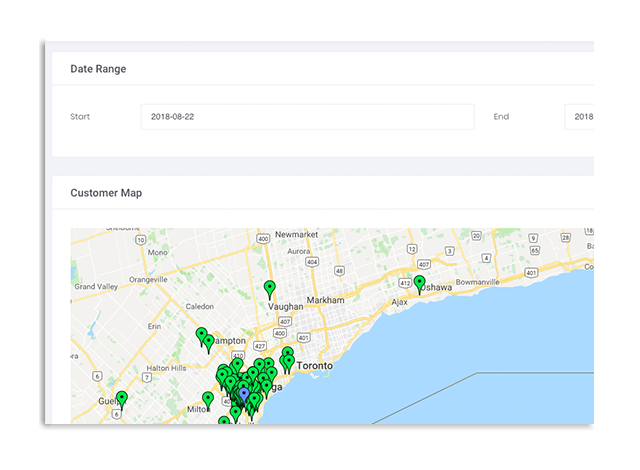 See where every call is coming from so you never waste another dollar on a marketing campaign that is not performing. Nothing turns people off from emails more than a sale-sy appearance. We send emails to customers from you with subject lines you’d actually write. You have just a few seconds to capture someone’s attention. Don’t waste them. We keep our emails short, sweet, and to the point. No one responds to emails that look auto-generated. With ours, you won't be able to tell the difference, and neither will your customers. We've got the perfect piece ready to go. Everything starts with a risk-free trial so you can see real results in your shop. 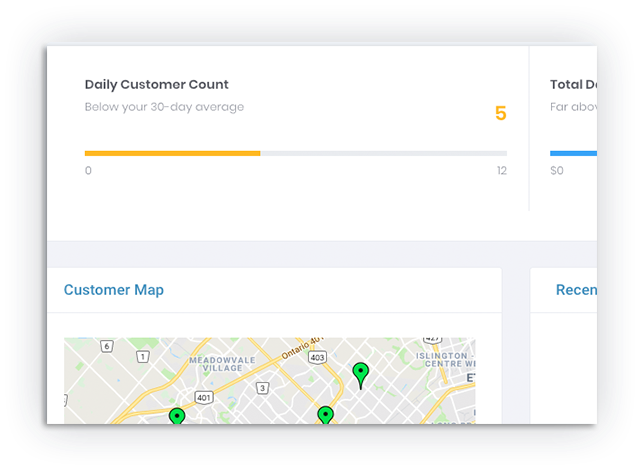 We'll use our experience in running successful shops to analyze the demographic, geographic, and behavioral data from your clients so you can attract and retain your premium clients. 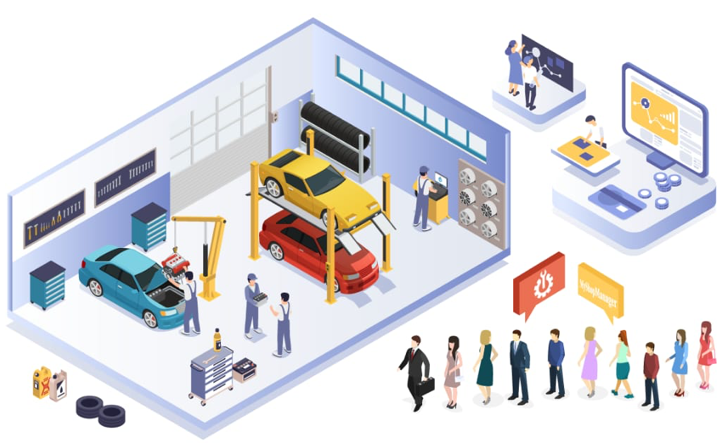 Every shop is different, and so are their marketing needs. Once your reports are generated, our team will review your entire business with you to determine the fastest and most effective way to reach your goals. Once we know what your shop needs, your dedicated account representative will present you with a custom marketing plan. After your approval, we will deploy, monitor, and test everything for you, requiring no effort or work on your part. 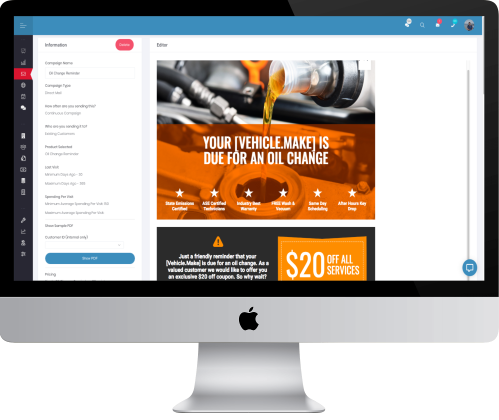 Imagine waking up every day knowing you will have your bays filled with profitable customers. Now stop imagining and start experiencing. That’s exactly what we provide for thousands of shops every day. 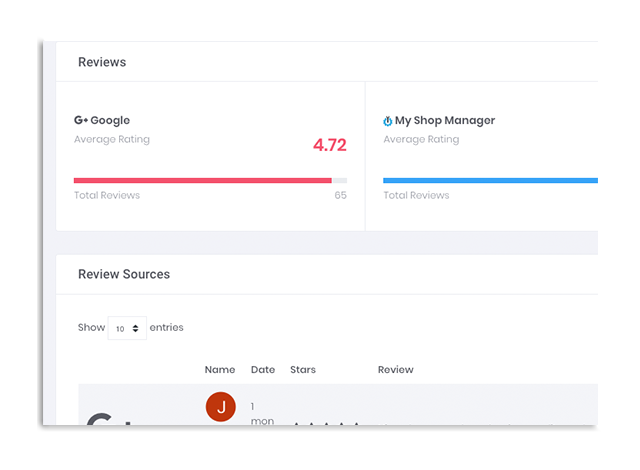 At MyShopManager, we believe that you should always expect real, measurable results. 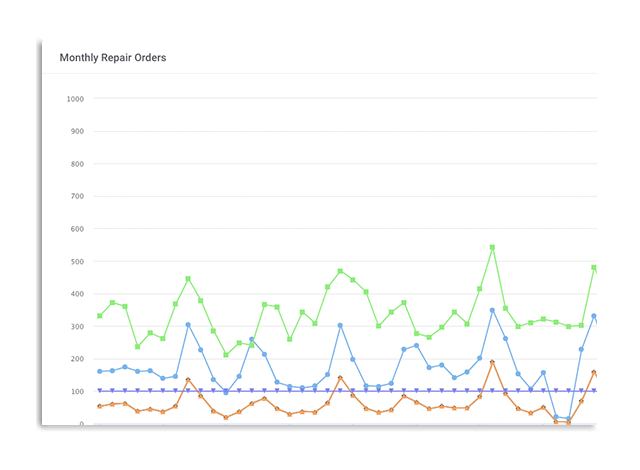 For a repair shop, results are easy to measure: Higher Customer Counts and Increased Sales to Each Customer. We track everything for you and you only pay for what works! You should NEVER pay for a marketing campaign that does not produce a profit! 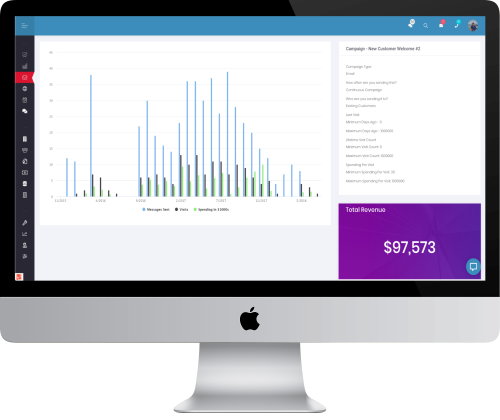 With our powerful tracking and reporting, you will know exactly how much money you have made from each and every campaign you have running. If a campaign does not produce a positive Return On Investment (you make more than you spend), we will credit 100% of your cost back to you! No fine print, and no hassle. It works or you don't pay!